Hot melt adhesives are the perfect partner for packaging applications. Hot melts are the perfect partner for packaging, and using tec industrial glue guns, together with tecbond high performance adhesives, delivers the ideal solution for all of your packaging needs. 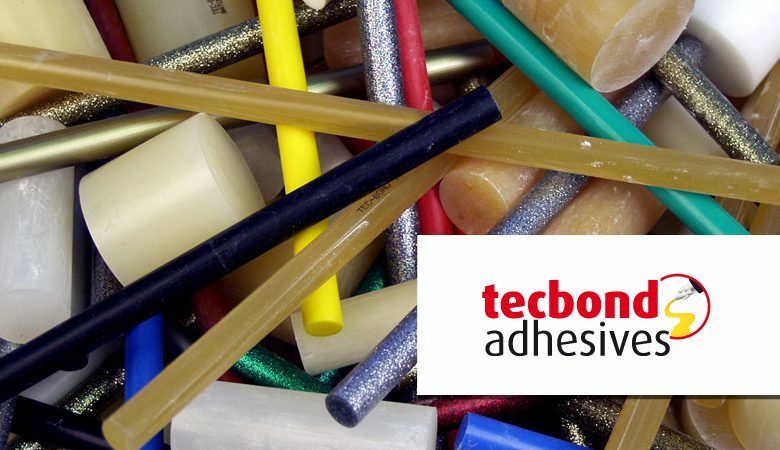 The tecbond range of high-performance hot melt adhesives offers the widest choice of formulations that can bond almost any packaging material instantly. For example, tecbond 265 or 261 are able to bond most varnish and coated boards used in point of sale displays, having been specially formulated to bond difficult substrates. For fast closing of cartons, tray assembly, and wrap-around packaging, tecbond 14 or 214 provide the ideal solution. Attaching protective foams and similar materials to the inside of cardboard or wooden cases is made easy and fast using tecbond hot melt or spraytec adhesive. Hot melts will not have an adverse chemical effect on the substrates or the contents being packed, unlike solvent based adhesives which could damage expensive or delicate contents. Hot melts will give you a very strong tamper-proof seal that adds extra security to your packaging, as well as improving the rigidity of the carton. Plus, by using tecbond hot melts, you won’t obscure any graphics that could be printed on the outside of the carton, as can often happen when using other closing systems such as tape or staples. Tecbond hot melts are very clean to handle and have an almost indefinite shelf life, providing a clean bond with none of the problems or hazards posed by other sealing methods.